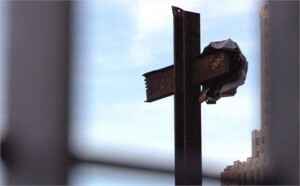 NEW YORK — The Second Circuit Court of Appeals heard arguments on Thursday both for and against a cross-shaped beam that is set to stand on display at the 9/11 museum in New York City, an artifact that was removed from the rubble of the 2001 attack on the World Trade Center. As previously reported, the group American Atheists filed a lawsuit against the presence of the cross in 2011, asserting that it has caused individuals to suffer “depression, headaches, anxiety, and mental pain and anguish,” and even indigestion. It had filed suit against numerous responsible parties, including the Port Authority of New York and New Jersey, the World Trade Center Memorial Foundation and New York City Mayor Michael Bloomberg. He also claimed that the cross was problematic because it was stationed on public land. The panel appeared confused at first regarding what the group actually wanted from the court, but followed with a number of questions to obtain clarity regarding the atheists’ concerns. “[The cross] violates the First Amendment because atheists are not represented equally,” Kagin said. Museum president Joseph Daniels, who supports the inclusion of the cross, said that eliminating the display would equate to erasing part of the nation’s history. “To have a piece of the history that provided some spirituality, some faith, some respite in the midst of all this, if we didn’t have that we really wouldn’t be telling the story as it happened,” he told reporters.